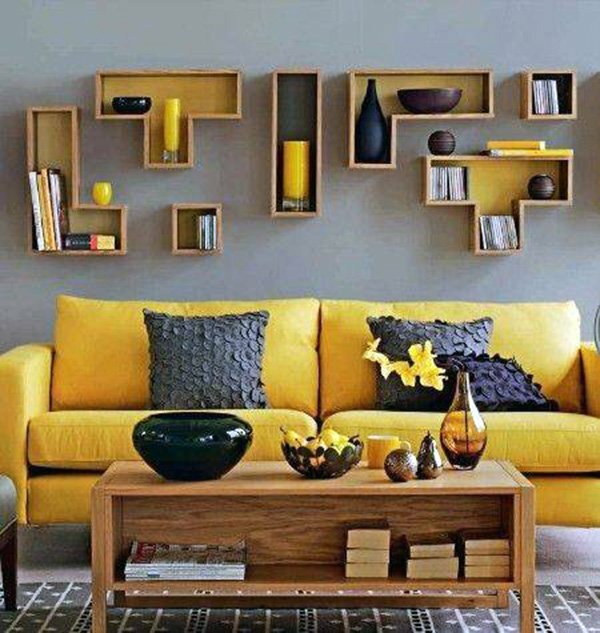 The idea behind living room decoration is that it is all about creating a cozy and comfortable space. We spend most of our time in our living rooms; so using warm colors when decorating is the way to go to bring a sweet and homely atmosphere to a space where we gather around with friends and family. 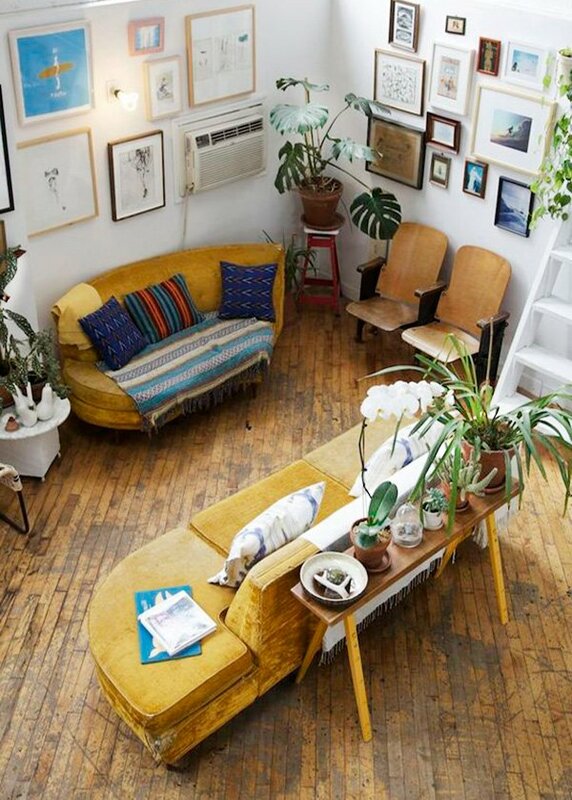 The tricky thing here is that mustard yellow can be hard to pin down as there are many shades, and you might also have some trouble with pairing it with the right colors and tones. But do not be alarmed because you’ll know it when you see it. 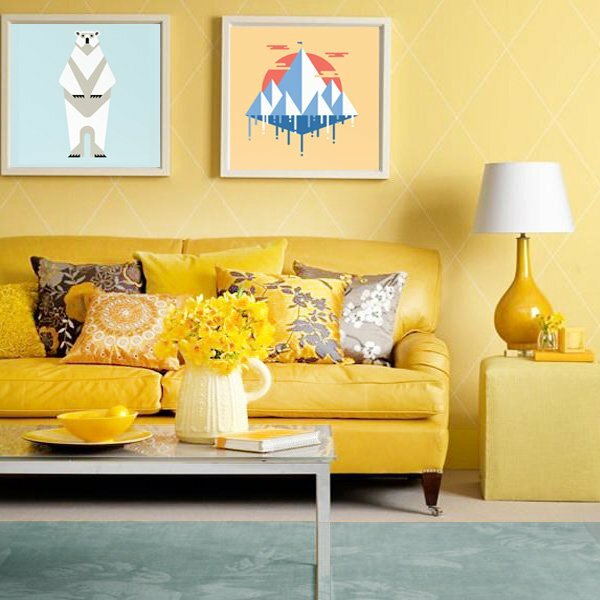 Despite this, mustard yellow is widely used in decoration, especially in living rooms since it offers warmth and style at the same time. Besides, mustard yellow also goes well with many other colors if you choose wisely, so it offers different options for different tastes. 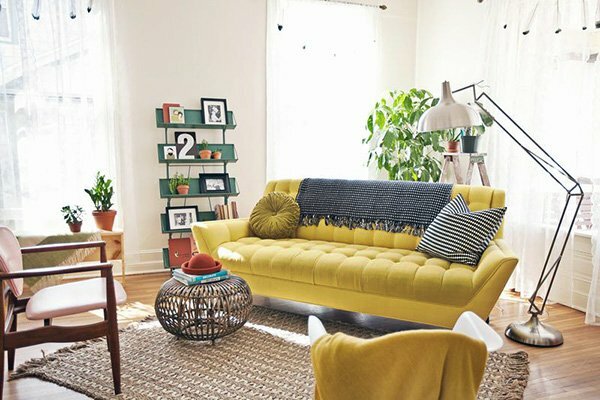 If you want that warmth in your living room, you can combine mustard yellow with brown – you can use mustard yellow sofas with brown furniture. 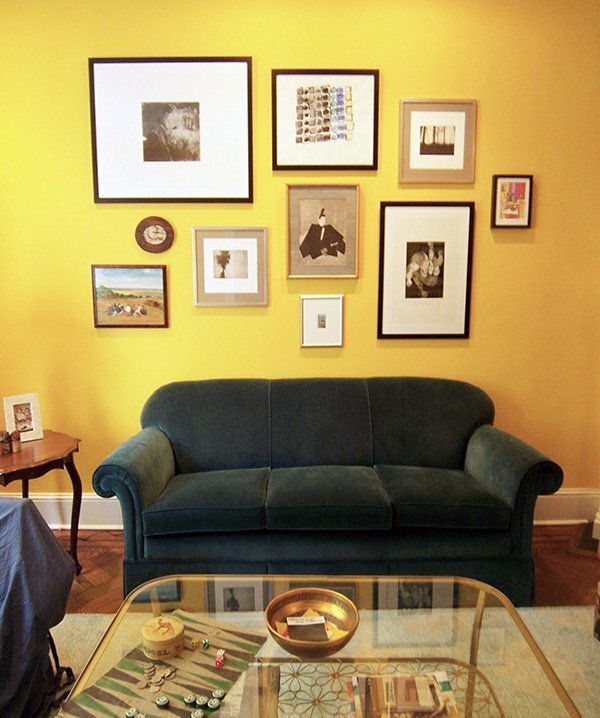 In addition to that, you can also combine mustard yellow with grey for spectacular results. 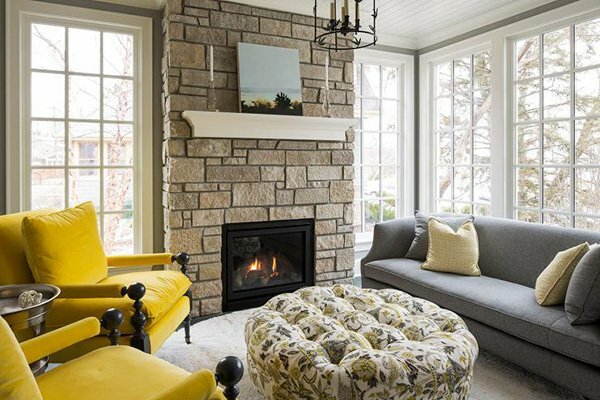 Yellow and grey together create a beautiful atmosphere and we believe that they complement each other the best because they bring both brightness and darkness in style at the same time. 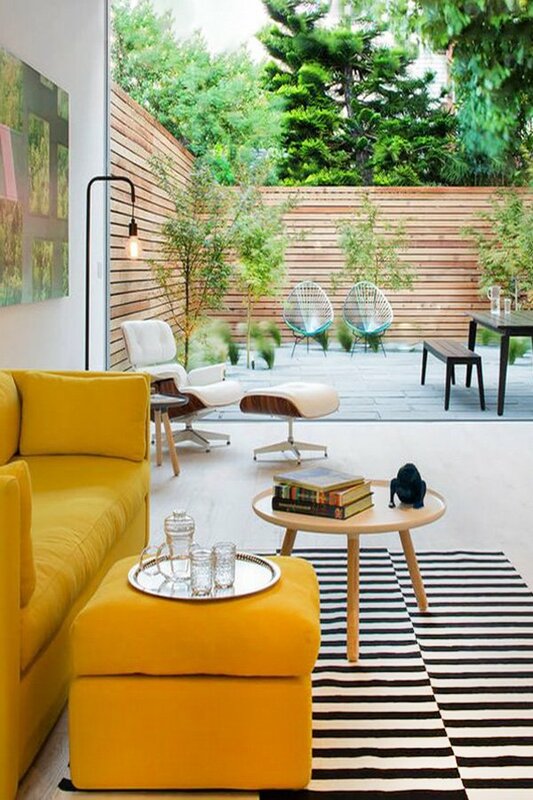 As you might guess, you can also pair mustard yellow with black and white for amazing minimalist or modern results. 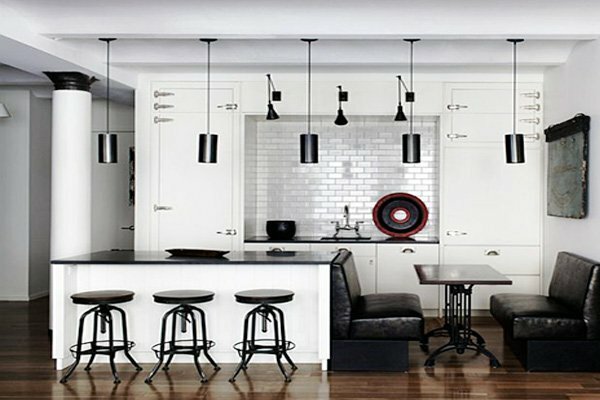 White, grey, and black bring a neutral touch to any space, and when combined with mustard yellow they work in harmony as yellow works as a mood booster. 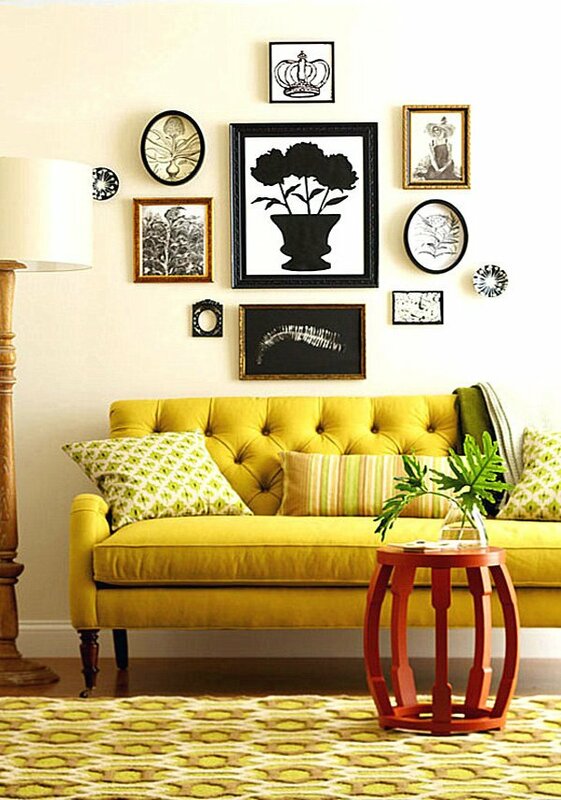 Black & white stripes, geometrical shapes, colorful and patterned pillows and cushions, dynamic wall arts go well with mustard yellow decoration, so you have many options to combine it with according to your own taste. 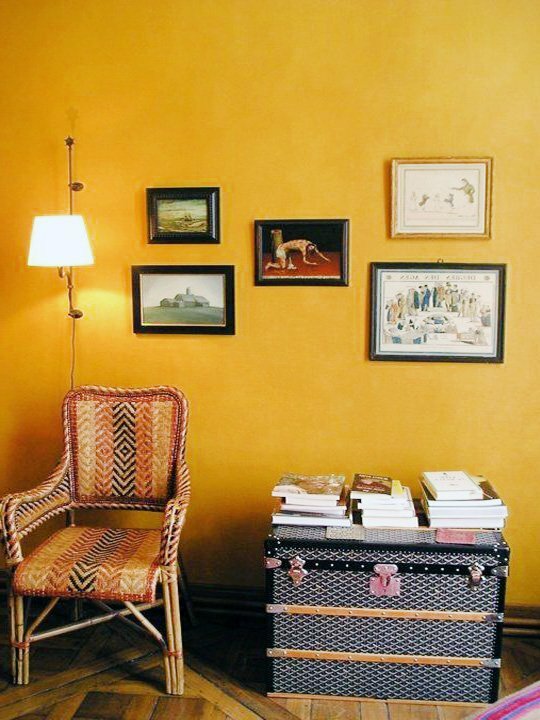 You can make use of mustard yellow on your furniture, on your walls, on the floors – it’s completely up to you. 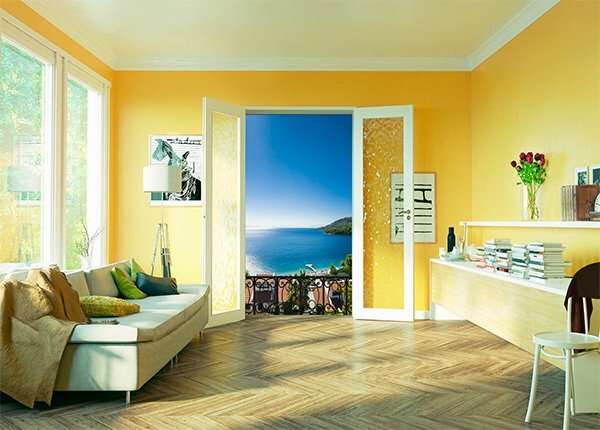 But rest assured that you would end up having a bright, eye-catching, lively, and sophisticated living room. 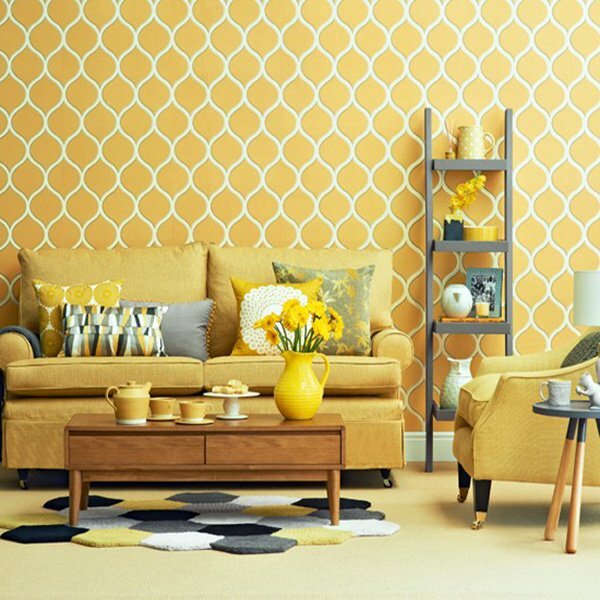 If you need some ideas and inspirations about mustard yellow living room decoration, do not make up your mind before you check out these spectacular design ideas below!